Currently Fresh Store Instant (Fresh Store Builder) is only coded to work with the Amazon Affiliate Program. The amazon affiliate program is 100% free to join and Amazon will pay you for referring customers to their website. 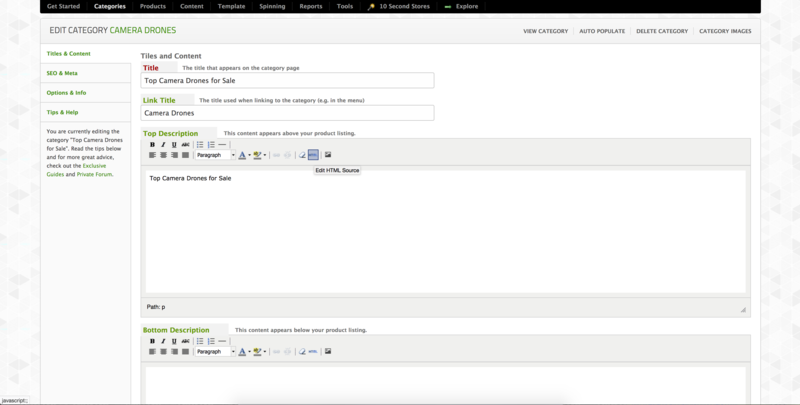 Adding HTML to product, content, or category pages. Find the page you want to add the HTML in. In the example below, I'm going to add HTML into a category page. You will always see the "EDIT HTML SOURCE" icon on the editor. 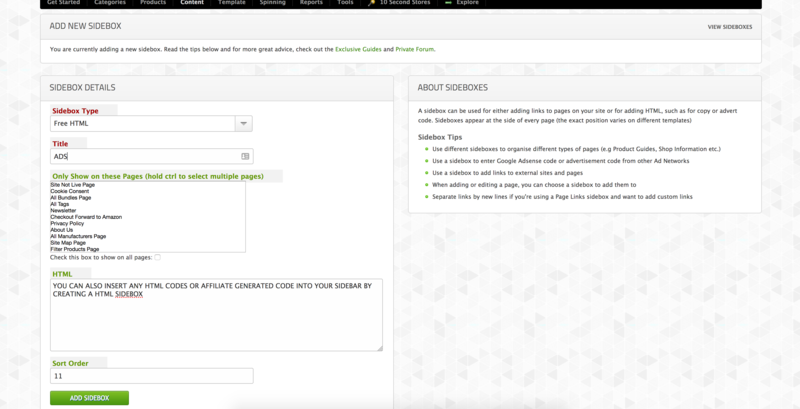 This will open a new window and let you add your own HTML, java code or affiliate generated codes. A new window will open when you click the edit HTML icon. Make sure to click UPDATE once you add your code and then SAVE the page you are also editing. If you would like to insert HTML into your sidebar. 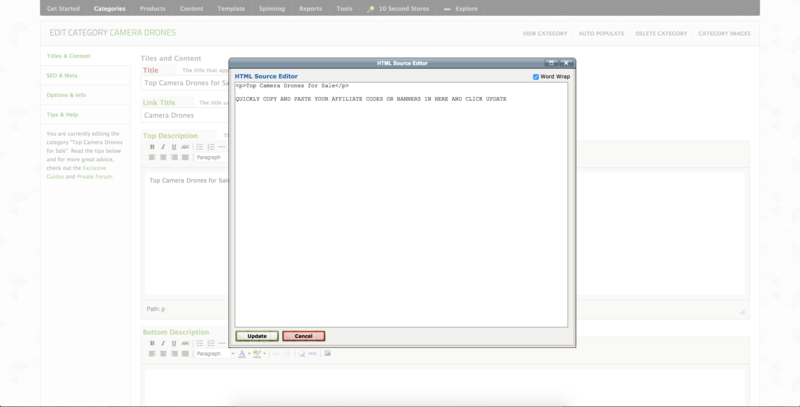 You will need to click a HTML SIDEBOX. Click on CONTENT tab in your freshadmin control panel and then click on ADD SIDEBOX.